In the run-up to the election, Imran Khan made many promises, which he pledged to achieve within the first 100 days of taking office. His plans included cleaning up corruption, improving governance and saving public finances through an austerity drive. But what has the PTI-led government actually done in a 100 days? August 20: The PTI gets its chief minister elected in Punjab, Pakistan most populous and politically important province, with the help of coalition partners. August 22: Through Twitter, the newly-elected prime minister invites India for dialogue on all conflicts. The state-run media will now have complete editorial independence, announces the new government. 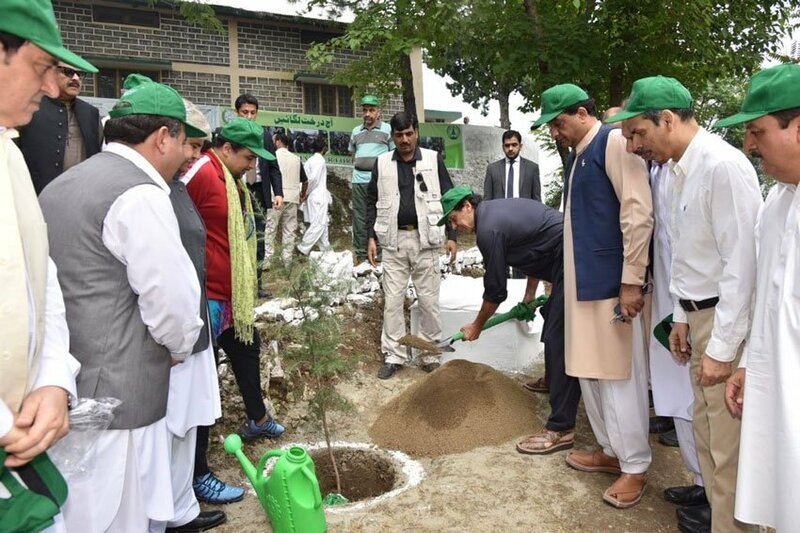 September 3: As promised in its manifesto, the PTI-led government launches a countrywide drive to plant 10 billion trees in Pakistan over five years. September 4: The PTI is successful in having its nominee elected as the president of Pakistan, after the opposition parties fail to field a consensus candidate. September 16: The government opens the previously inaccessible governor houses in Sindh and Punjab to the public. September 30: Despite the Oil and Gas Regulatory Authority pushing for an uptick in petroleum prices, the rates are unchanged so as not to burden the public. October 4: The government reinstates restriction on non-filers from purchasing cars and land. October 15: Agreeing to the oppositions’ demand, the government forms a 30-member committee to probe allegations of rigging and fraud in the general election. 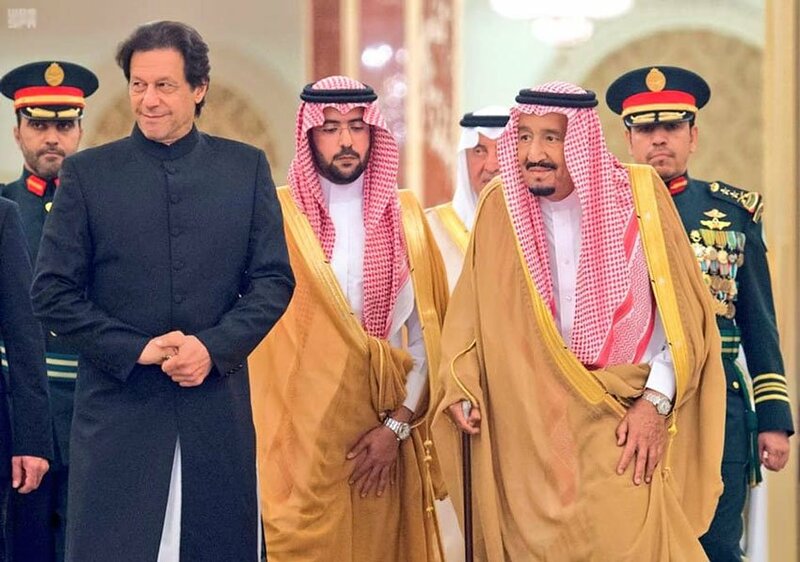 October 23: Saudi Arabia commits a $12 billion financial package, including $3 billion as balance of payment support and $3 billion worth oil on deferred payments, to help Pakistan manage its economic crises. November 7: After the prime minister’s five-day visit to China, it agrees to increase imports from Pakistan by $2.2 billion by the end of the next fiscal year, according to the advisor to the PM on commerce, industry and investment. November 22: The prime minister and chief of army staff’s proposal to reopen the Kartarpur corridor is approved by the Indian cabinet. The corridor from Gurdaspur, India, to Narowal, Pakistan, would facilitate Sikh pilgrims. It is seen as a possible development of cooperation between the two arch rivals. September 7: Crumbling under pressure from religious political parties, the government removes Atif R. Mian, a Princeton University economist, from the Economic Advisory Council. The decision was seen as a U-turn since earlier state ministers defended his appointment and refuse to reverse it. After Mian’s removal, two more members of the Council resign in protest. September 17: The prime minister pledges to grant citizenship to the Afghan and Bengali refugees born in Pakistan. Khan later backtracks and tells the parliament that no decision has yet been taken. September 24: The prime minister announces the introduction of the Prime Minister's Questions Hour every week, where he will answer queries on governance. However in the first 100 days it was not initiated. October 4: A damning inquiry report, prepared on the orders of the apex court, holds the CM Punjab responsible for exerting undue influence to transfer Rizwan Gondal, a senior police officer. The chief minister had earlier denied any interference. October 9: A recently-appointed inspector general Punjab, Mahmood Tahir, is replaced, after only a month in office. The same day a senior police official, Nasir K. Durrani, heading the police reforms commission, resigns. There has been no replacement for Durrani to date. 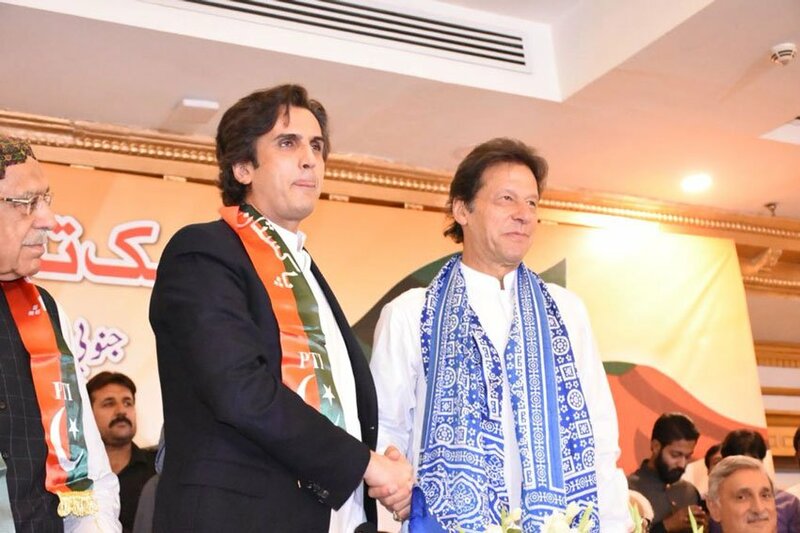 October 14: PTI loses nine seats – national and provincial – in by-polls, which it has previously won, including the two vacated by the prime minister. October 21: PTI fails to pick up the provincial seat vacated by its governor Khyber Pakhtunkhwa, Shah Farman, in another round of by-election. Farman later admitted that awarding the party ticket to his brother was a mistake. October 28: In its 100-day agenda, the PTI had pledge to “create national consensus on the creation of a South Punjab province.” At the end of 100 days, only a committee has been formed by the CM Punjab. It is unclear if members of the committee have reached out to other political parties. November 2: The prime minister warns of strict action against protesters from the Tehreek-e-Labbaik political party. But his ministers instead sign a peace agreement with the rioting men. The agreement is seen as a failure of the government to impose its writ. November 14: A senior police officer, Tahir Dawar, is kidnapped from the capital on the government’s watch. However, a probe committee is formed two weeks later, after he is killed in Afghanistan. 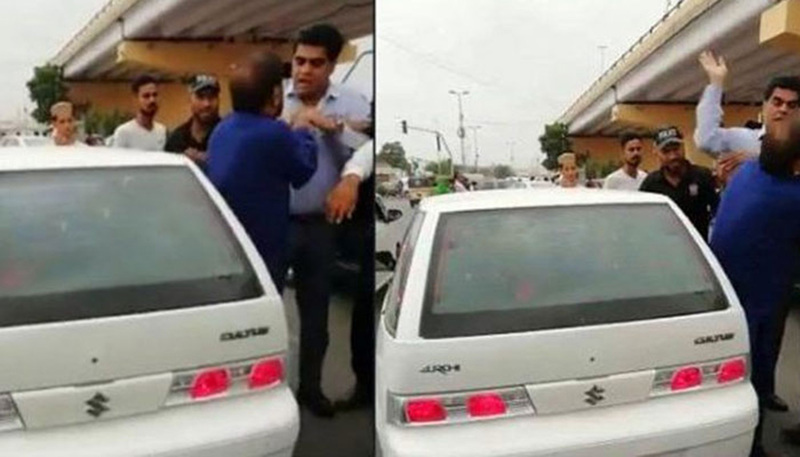 August 19: Supreme Court takes suo moto notice of a video showing PTI MPA, Imran Ali Shah, assaulting a senior citizen in Karachi. Prime Minister unveils his 21-member cabinet, 12 of who held key positions in the regime of military ruler General (r)Pervez Musharraf. August 25: Controversy erupts over a readout of a phone call between US Sec. of State and Imran Khan. Washington insists there was talk of terrorism between the two, while the foreign office denies it. August 28: Rizwan Gondal, a district police officer in Punjab, is transferred abruptly for failing to apologize to the first lady’s former husband. The move leads to questions about PTI’s claims of merit. August 29: PTI’s own parliamentarian, Aamir Liaquat Hussain accuses the party leadership of ignoring legislators from Karachi. Images of the Punjab’s chief minister traveling with his family on a private plane emerge. Separately, Khan’s ministers are forced to defend his decision to use a helicopter to travel from his residence to the PM house. August 30: Information minister announces plans to establish a “unified” media regulatory body to police print, visual and social media. Critics see this as a way to further censorship and impose more curbs on the freedom of the press. September 13: The PTI government in Punjab sends show-cause notices to two deputy commissioners after they complain of political meddling by PTI legislators. 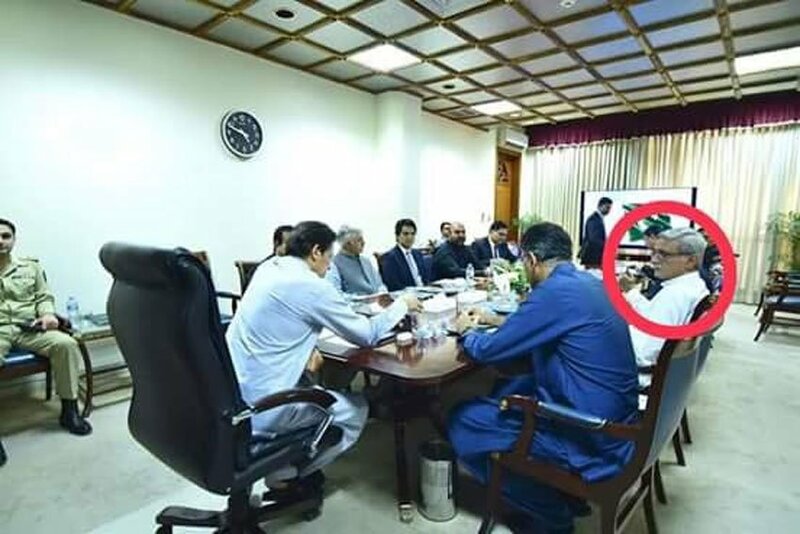 September 27: A image shows PTI leader Jahangir K. Tareen, who had been disqualified by the Supreme Court from holding public office, attend a cabinet meeting in Islamabad. September 28: The firebrand Information Minister calls the rival parliamentarians “dacoits” who squander public finances. Thereafter, begins a back and forth between the opposition and the information minister which carries on for weeks until the minister apologizes. October 1: PTI parliamentarian, Karamat Ali Khokhar, and an MPA are reprimanded by the Supreme Court for attempting to prevent the arrest of a notorious land grabber, Mansha Bomb. 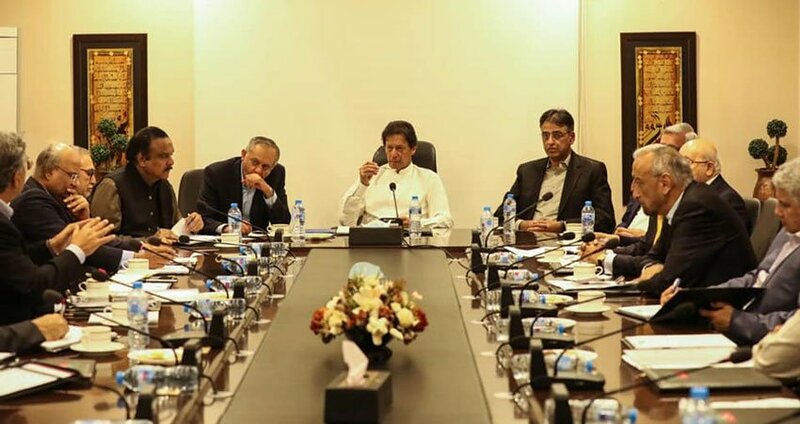 October 17: Prime Minister Imran Khan’s latest appointment of close friend, Sahibzada Amir Jahangir, as the special assistant on foreign investment, becomes controversial due to an alleged case of fraud in the UK. 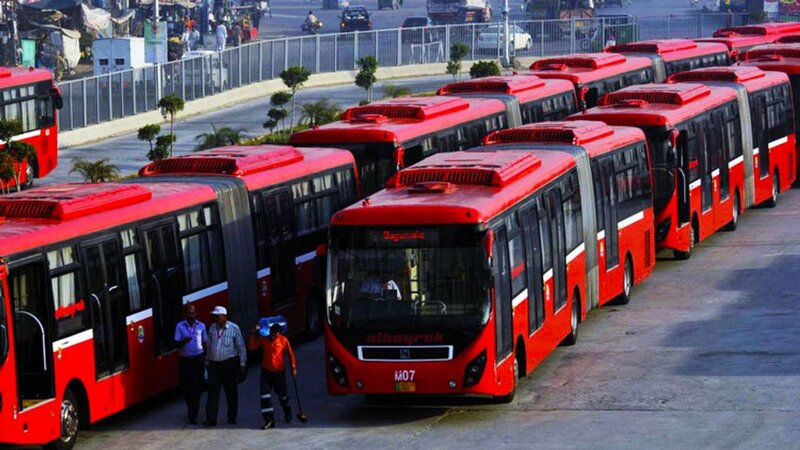 October 18: In what is seen as revenge politics, the PTI government in Punjab ends subsides on fares of the Metro Bus service in Multan, Lahore and Rawalpindi, inviting the ire of the opposition parties. October 22: Before leaving for Saudi Arabia, Khan reportedly tells the foreign media that Pakistan is “desperate for money”. The comments cause a storm. 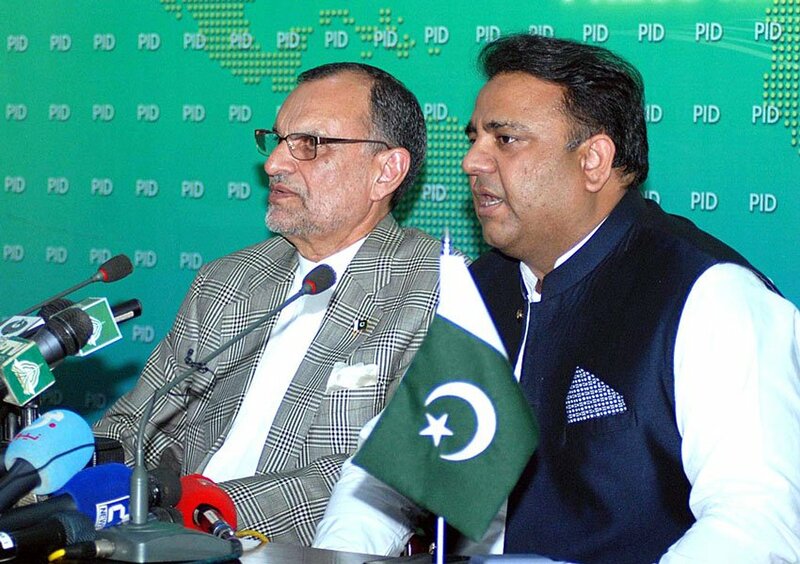 PTI ministers then deny that permission for an interview were granted to foreign reporters. October 24: The Supreme Court accepts a petition challenging the appointment of Imran Khan’s close aid, Zulfikar Bukhari, as the special assistant to the PM, due to his dual nationality. October 25: The editor of an Israeli daily triggers a maelstrom of speculations after he tweets that a private aircraft secretly travelled from Tel Aviv to Islamabad. The government rubbishes the claim. 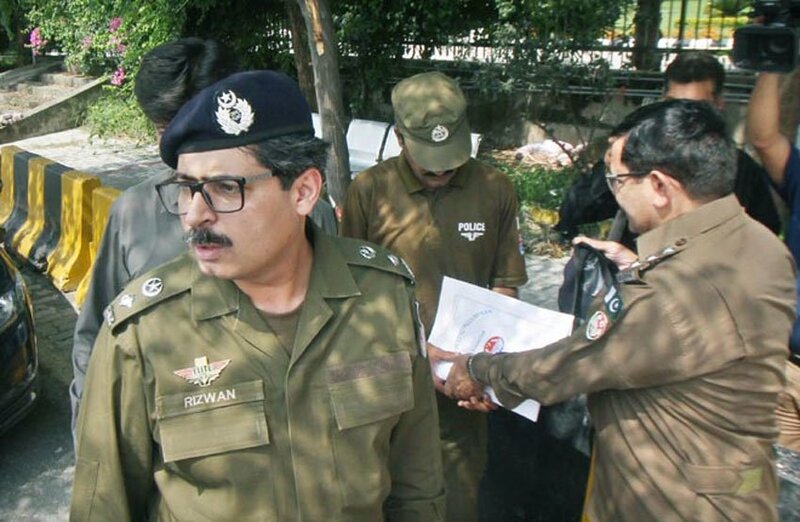 October 29: The Supreme Court suspends the abrupt transfer of Islamabad police chief, Jan Muhammad. The officer was relocated by the PM after he refused action on a complaint filed by federal minister Azam Swati regarding an altercation at his farmhouse. Later, a probe team also held Swati responsible for the incident. 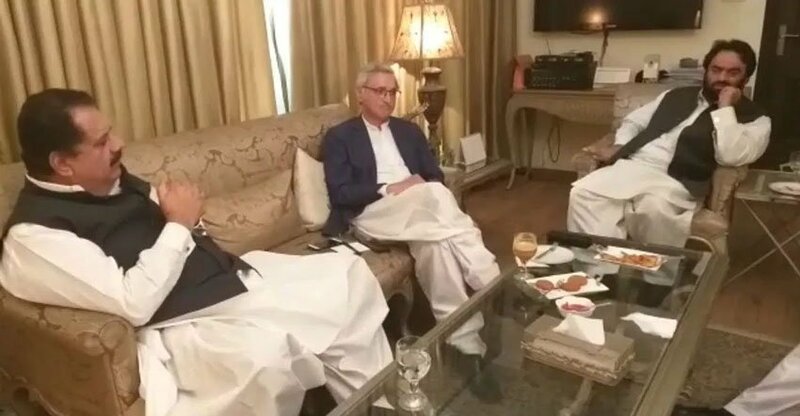 November 11: A video surfaces showing PML-Q ministers pleading with PTI senior leader, Jahangir K. Tareen to restrain Punjab’s governor from interfering in the administrative work of the province. The PML-Q and PTI are coalition partners. November 18: Prime Minister Imran Khan is at the receiving end of much flak, after he is quoted using fascist leaders, Adolf Hilter and Napoleon Bonaparte, as examples to justify his constant U-turns on issues.